Born in Virginia, Barbara Downs now lives in Santa Cruz, California. In 1983 she earned her BA at UC Santa Cruz in studio art, focusing on traditional lithography on limestone. During this time, she made her living as a draftsperson, doing electro-mechanical drawings on vellum, and later in AutoCAD. Among other jobs, she did mechanical design and drafting for an early private rocket company. 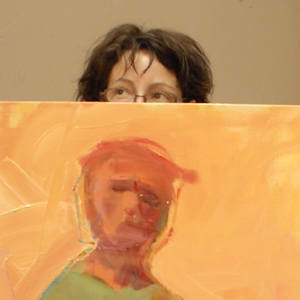 Barbara’s art now spans multiple mediums including painting, drawing, encaustic and sculpture. She has shown regionally and nationally. Her work is included in the collection of the University of California as well as various corporate and private collections.